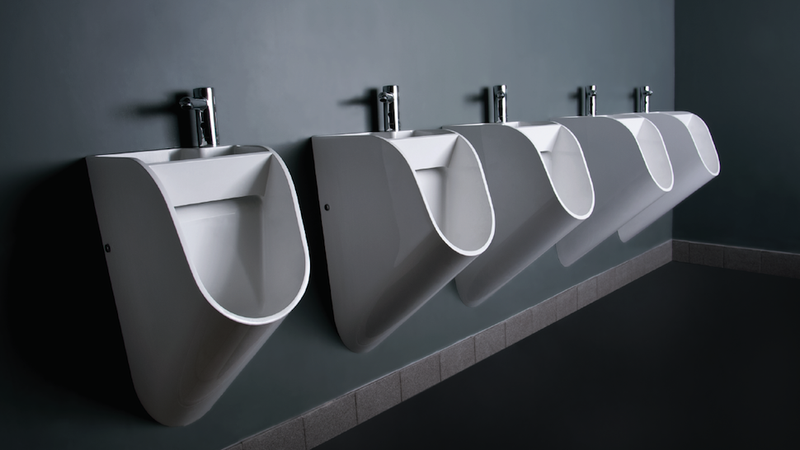 Would This New Urinal Design Make Men Wash Their Hands? Here's a problem about guys: many of us don't wash our hands after using the restroom. It might be general grossness or everyman laziness or being too trusting your own hygiene or being too drunk or taking on a drive through mentality with a urinal but if you monitor a men's restroom, you'll see many folks skip the sink. But this new urinal design by Kaspars Jursons tries to solve the hand washing problem by combining the sink with the urinal, two birds with one stone kind of thing. The thinking is that putting the sink on top of the urinal and making it sensor-activated, men will wash their hands because it is right in front of their face. The thinking is wrong. And the thinking is unbelievably gross. Here's what will likely happen with these Frankenurinals: men, with their terrible aim and never ending urine, will manage to piss inside the sink and stain the tap a disgusting shine of morning yellow. It's going to be foul. In fact, with this new urinal + sink design, I'd bet there would be more piss in the sink, on the handle, around the receptacle and all over the place than there would be inside the urinal. I'd rather deal with non-washed hands than this.